A warm creamy, vanilla, custard flavor brings an extraordinary taste in baking treats and different pastries. 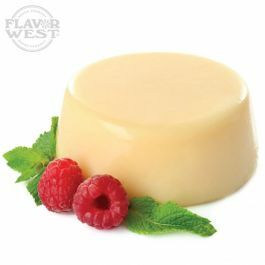 Type: Bavarian cream Soluble Flavoring. Ingredients: Natural and Artificial Flavoring, Propylene Glycol. USP Kosher Grade Flavoring. Usage Rate: 15-20% for E-use. Flavor suitability: Desserts, pastries and baked treats, yogurt, ice cream, candy and more. Specific Gravity: 1.06 No Refunds on Flavoring. Just received my order a few minutes ago as always FW fast shipping,Thank you. This is another of my favorite flavors from FW and can be used either way as an ADV or mixed. This is an excellent cream to have in your vape arsenal and if you do not have it already,I would suggest picking t up. Price,quality and shipping is what keeps FW as my main DIY flavor supplier. For the prices, you can't go wrong. Adds the taste i'm looking for in my formulas of e-juice.